When National Geographic Expeditions came to us asking for recommendations on design and interactive features for their site, we knew they had the foundation, imagery, and assets to create something powerful and memorable. Armed with our team of visual designers and user experience strategists, we dove into collaboration with National Geographic to plan features, generate loads of wireframes, and suggest design ideas via mood boards and comps. We built out the full site in html and css, and delivered front-end code and annotated screenshots to the National Geographic team and OmniTI, who developed the content management system. 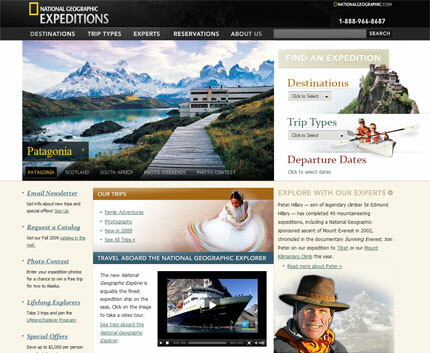 The work paid off last week when National Geographics Expeditions launched its new site. Learn more by visiting nationalgeographicexpeditions.com.